Andrew K. Peterson is a poet and editor. He is the author of three poetry books: Anonymous Bouquet (Spuyten Duyvil, 2015), some deer left the yard moving day (BlazeVox, 2013), and Museum of Thrown Objects (BlazeVox, 2010). His 2017 chapbook The Big Game Is Every Night was mailed to the White House alongside other publications from Moria Books’ politically-based Locofo Chaps series. A previous chapbook bonjour meriwether and the rabid maps (Fact-Simile Press Equinox Chapbook Contest Runner Up, 2011) was featured in an exhibition on poets’ maps at the University of Arizona’s Poetry Center. His writing is anthologized in Emergency Index 2012 (Ugly Duckling Presse), The Earth Archive (at RISD Museum, curated by Danielle Vogel), 4000 WORDS 4000 DEAD, a collaborative performance project (curated by Jennifer Karmin, released by Sona Press), The Ash Anthology (Fact-Simile Press), and various print/online journals. In 2017 he was a co-organizer of the Boston Poetry Marathon. 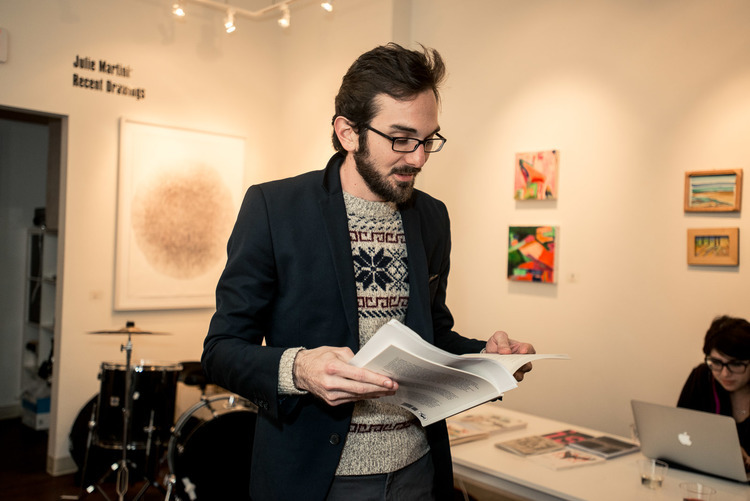 He co-founded and edits the literary journal summer stock, and lives in Boston.